An Uncommon Common Room! - CHOMP! SLURRP! BURP! It has been raining restaurants and cafes in Rajouri Garden with newbies like Junkyard Cafe and Garam Dharam opening subsequent outlets here and established ones like BoomBox Cafe setting up base there. The new kid on the block is the Common Room. Had I visited this place while I was still in school, it would have been a dream come true. The ambiance is nothing but cool. Plush leather couches and low tables with pipework going around the cafe. The main attraction is the wall with an iron pipe framework that houses archie, batman and flash comic books, trumpets, vintage bottles and more. The bar is too good to be true in a common room but well, here you are – a dimly lit filament bulbs hanging from the top with upside down goblets. 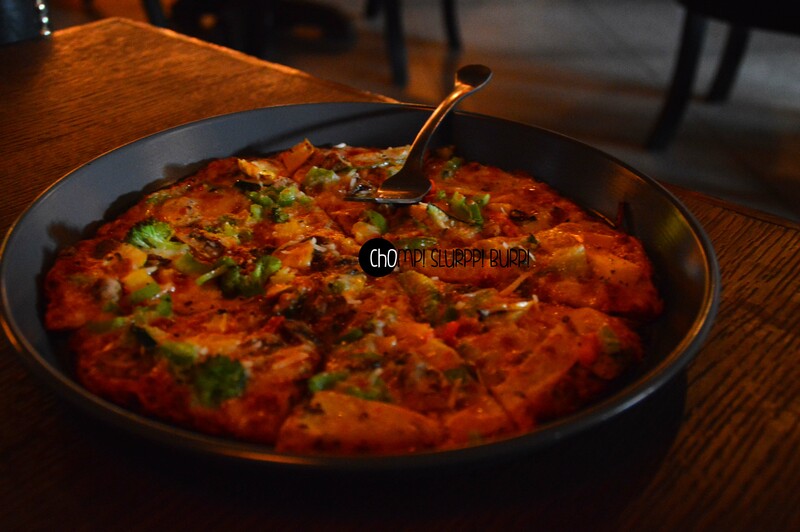 The menu is not as impressive as the ambiance – pretty standard dishes, nothing that stands out or adds spark. 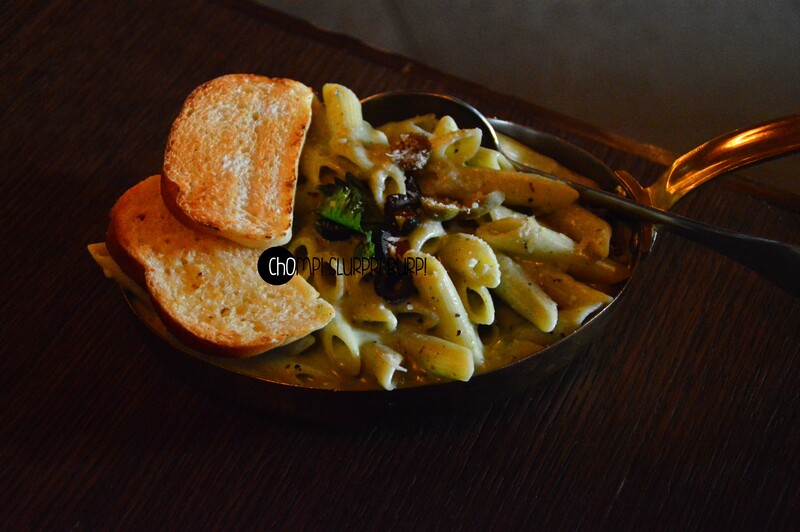 We ordered a portion of basil creamy pesto pasta and a pizza verdure. 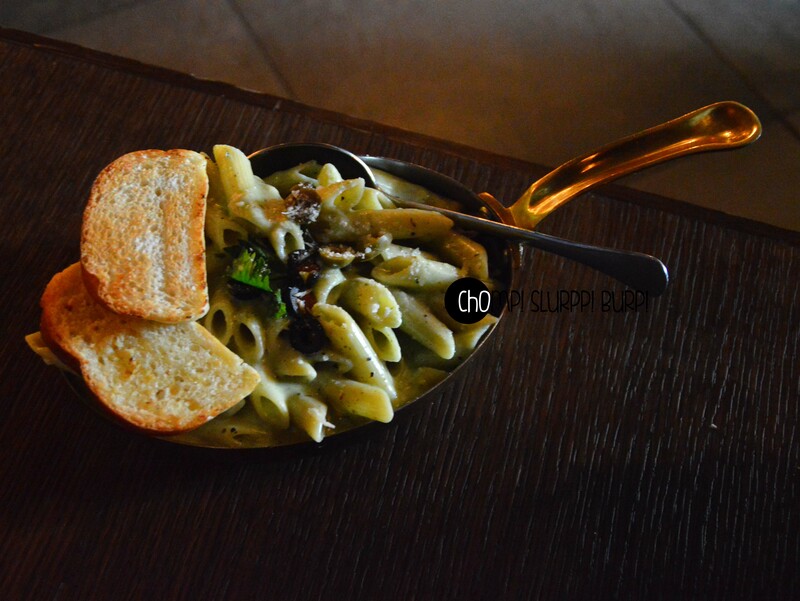 The pasta came steaming hot in a heavy bottom pan garnished with green and black olives. The penne was slightly over done and the al dente crunch was missing. The sauce too did not impress us much – the creamy, basil stir-up was rather bland – the subtle flavours of pesto, lost somewhere with the heavy addition of cheese. The pizza however was exemplary. 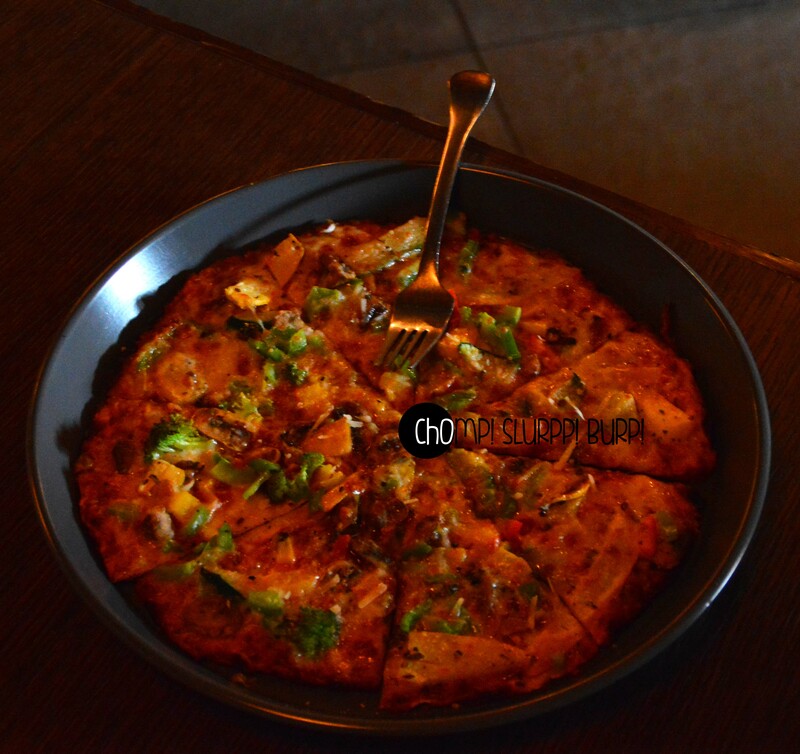 A thin crunchy crust loaded with exotic veggies – broccoli, yellow zucchini and bell pepper. The cheese was heavenly and very satiating! 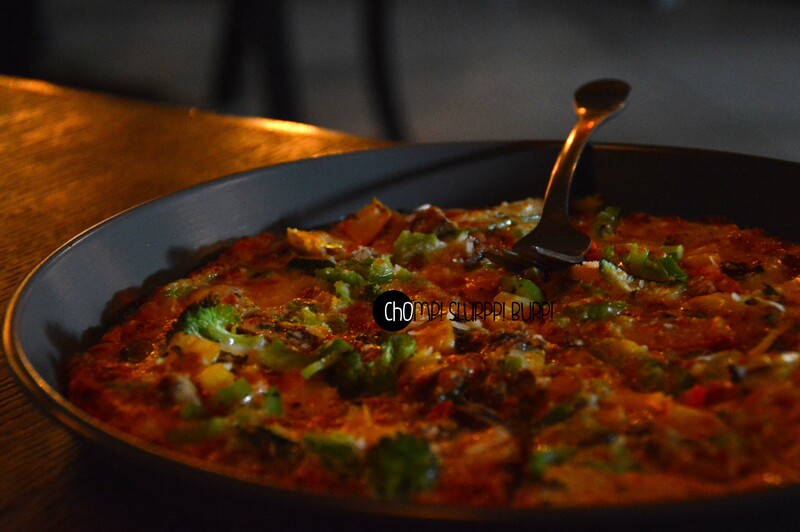 The prices are reasonable, the portions, good enough – and the pizzas are a must have!